Design synthesis is a process of cognitive development that aims to manage complexity or seek to avoid confusion. Design is always a comprehensive synthesis of market demand, technology trends and business needs. In the synthesis process, designers attempt to organize, manipulate, trim, and filter the collected data to form a cohesive conceptual construction system. The design synthesis reveals cohesion and continuity; the combination shows the improvement of the organization, the reduction of complexity and the formation of idealized clarity and conceptualization. However, this cognitive synthesis is often not so obvious or even completely hidden. This article attempts to define this reasoning process from the perspective of psychology and takes it seriously in its universal significance in the entire design process. 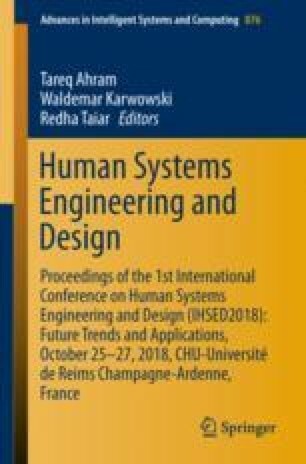 This paper investigates that the following claims: (1) There are three types of applicability of abductive reasoning for design synthesis including: identification of implicit design targets, idealization of innovative design concepts, and diagnosis of violating design constraints or design axioms. These three components have a common basis: conceptualization and reconceptualization. They can be taken as sense making from chaos and uncertainty. (2) Synthesis is an abductive thinking process. Abductive reasoning related to insight and creative problem solving, and it is this creative problem solving that is at the heart of the design synthesis methods. (3) Conceptualization relates three specific sub-processes: prioritizing, judging, and forging. Conceptualization is changeable.